In 1999 St Wilfrid’s Parish Church received a very generous legacy left by Norman Grayston Moore. It was agreed that the money should be used wisely. The decision was made to pay for the building of a Parish Hall which would benefit parishioners and also help the church to reach out to the wider community. 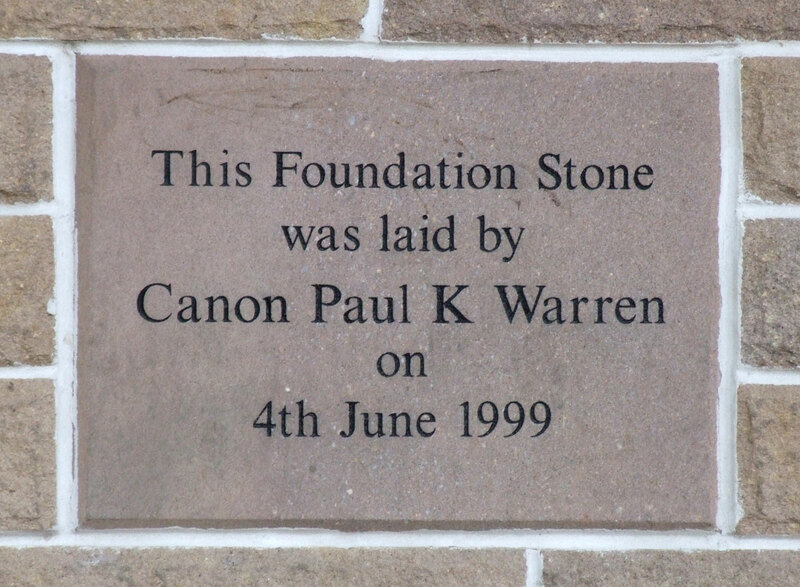 Building work was started in April 1999 by Carefoot Construction and completed in October 1999. The opening ceremony was on St Wilfrid’s day, 12th October 1999, and the building was opened by Bishop Alan Chesters. The Parish Office was established in the Hall as soon as it opened. At first it was used only as a booking office for the available rooms. It now also provides office support for the church and is a place where parishioners and community are able to make contact; this includes Baptism and Marriage enquiries. In the last few years there have been some changes made to the building. The kitchen area has been extended into what was the bar area. Also the temporary wall that divided the two smaller downstairs meeting rooms was removed and a sliding partition wall has been put in its place between these two rooms. This has enabled them to be used as one when a larger room is needed. Use of the building began in a very gentle fashion with only a few groups gathering there, but as the years have passed by, the hall has become much used by many church groups and also groups from the wider community. During most weeks approximately one thousand people come into the hall. Coffee and light refreshments are always served on Wednesdays from 10:30am to 11:30am, and on Sundays after the 10:00am service. Why not come and join us? Throughout the year many other events take place. For more information about the above groups please enquire at the Parish Office.